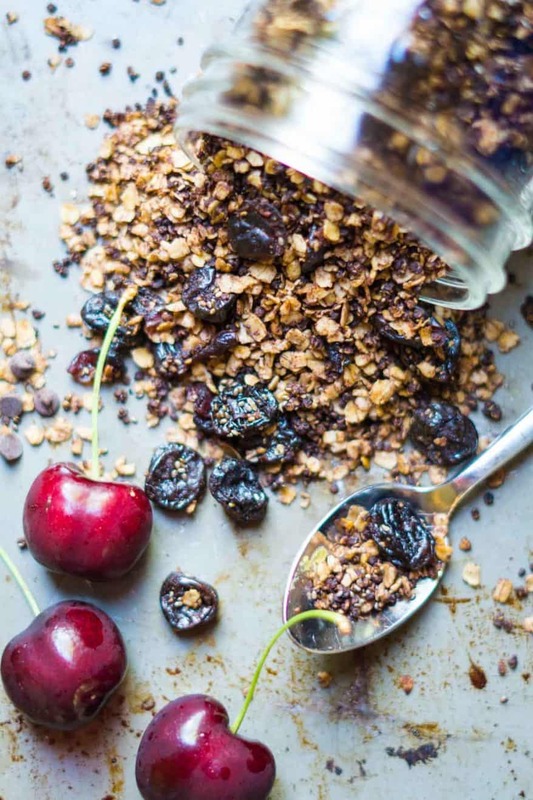 This chocolate granola only takes one bowl and 10 minutes of prep work! 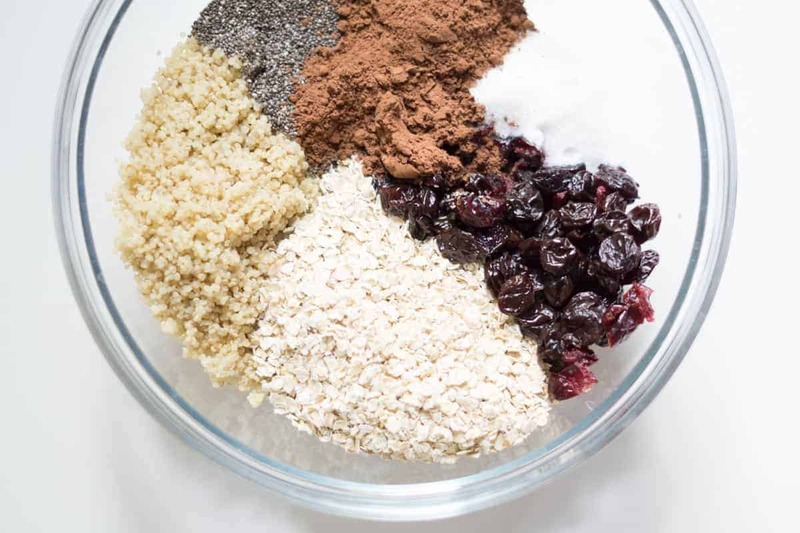 It’s studded with cherries and health boosted with chia seeds and quinoa. 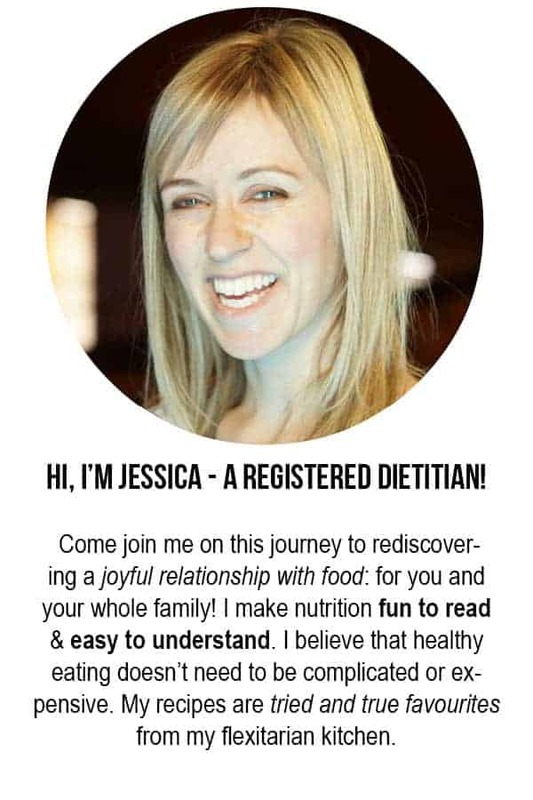 There came a time last February when it was suddenly Valentine’s Day and my Instagram feed was blowing up with wonderful heart-shaped kids’ food, and romantic chocolate-covered-fruit recipes. I felt like covering my face in shame. I’m the worst food blogger ever! I’m horrible at planning ahead for seasonal posts. I just go with the flow and cook/bake wherever the wind takes me…. so in December I’m baking Christmas cookies like a normal person, and I’ve totally missed the boat on posting the recipes ahead of time like a food blogger, for all y’all to enjoy. Having said that, I did just start an editorial calendar and am absolutely LOVING how organized I feel. So there’s hope for me yet. But there’s no denying I missed getting this aphrodisiac of a breakfast out to you before Valentine’s Day. Or maybe I’m just SUPER ahead of the ball and you can thank me for already knowing what you’re going to make next February. 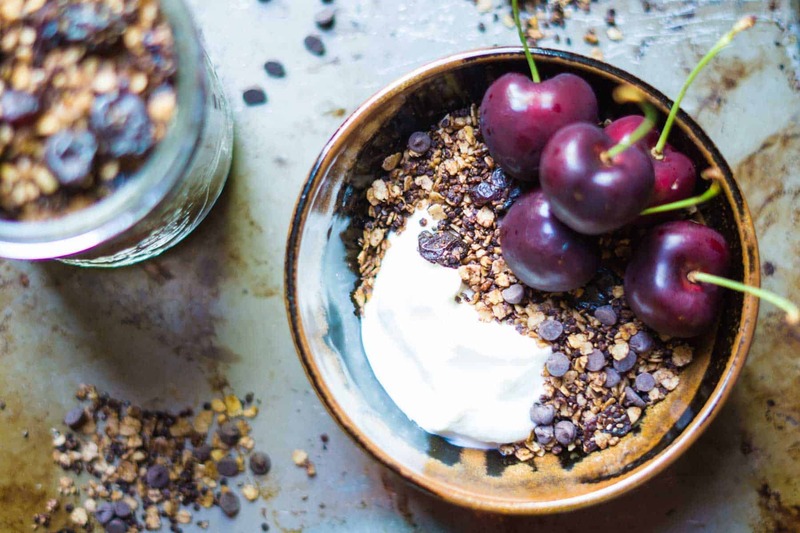 Thankfully this chocolate granola recipe is wonderful all year round…. AND it’s still cherry season so it’s even better with fresh cherries! You guys told me that one of your favourite granolas was the Love Crunch variety. So I went ahead and made my own version! You were right: chocolate + berries = LOVE at first bite! I’m too cheap! I noticed that you can buy freeze dried strawberries at Target but they were crazy expensive! Yeah, you’re probably getting more strawberries than if you bought them fresh but I just can’t bring myself to pay so much for so little weight and volume! I need more fruit! I suppose to make the price of the granola realistic, the people at Love Crunch realized that they couldn’t add a lot of those expensive freeze dried berries into the cereal. I found their product severely lacking in the berry department. A quick check of the ingredients showed me that there was more cocoa than berries! I wanted my recipe to have more fruit so I moved on to cherries. And besides, who doesn’t love the cherry chocolate combo? With chocolate granola, a little goes a long way. It’s a calorie-dense food. While I’m not scared of calories, I have recognized that it can be very easy to eat past my fullness signals if I’m not paying super close attention to them while I’m eating granola. Because of this, I like to eat this chocolate granola alongside other foods, instead of making granola the main attraction. I like to think of granola as more of a topping so I’ll scoop a bowl of plain yogurt and top it with granola and fresh fruit. Check out my photo above as an example. If I were to eat it with fresh milk, like I would other cereal, then a tiny portion in my bowl just wouldn’t look very satisfying and I’d be apt to take more… and then feel overfull later! 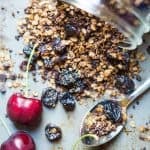 love granola? want more recipe inspo? Stir together all the ingredients EXCEPT the cherries and chocolate chips. Spread out, as much as possible, on a rimmed baking sheet. Stir and return to oven for another 10 minutes. 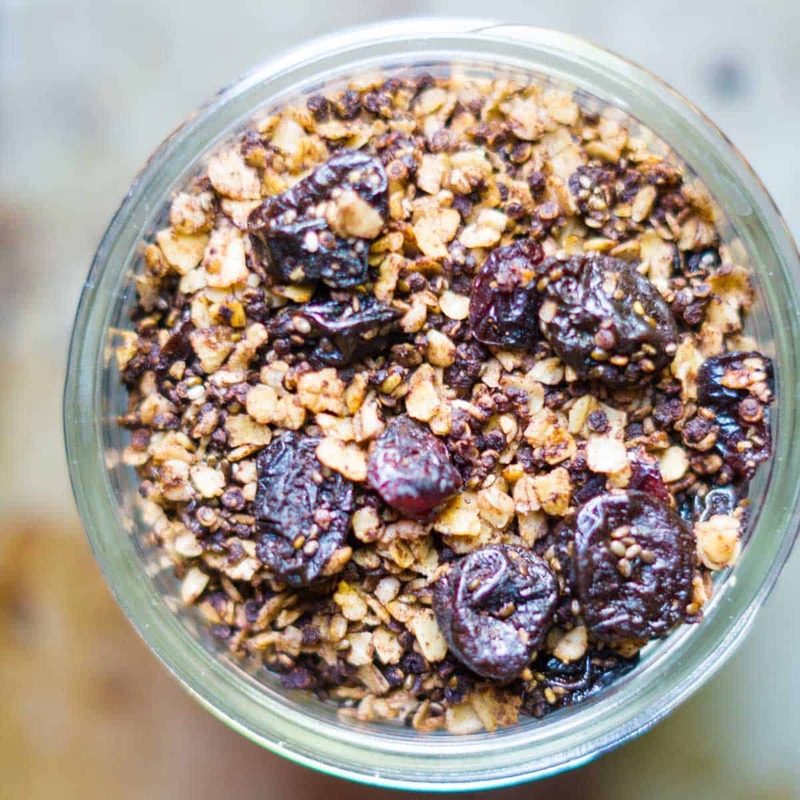 Keep stirring and baking at 5-10 minute intervals, until the granola just starts to crisp up. Be careful not to burn it. Once the granola cools down, it crisps up even more. Allow to cool and then transfer to an airtight container. Stir in the dried cherries and mini chocolate chips. Dried cherries are still quite expensive, how would this nutritionally if they were replaced with cranberries? It would compare very similarly to dried cranberries in terms of nutritional value.